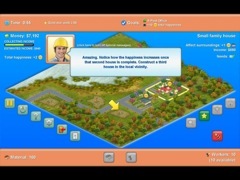 Build your own town and make heaps of money! 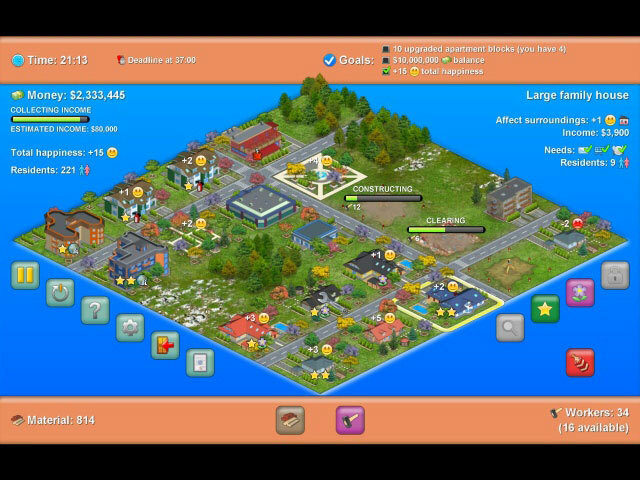 Townopolis is a fun strategy game with highly addictive gameplay and colorful graphics. Construct an idyllic neighborhood with plenty of houses and keep your residents happy by providing all services they need, and they will reward you with a tidy profit. It's up to you how to play - you can work your way to the top in the comprehensive campaign mode or you can create and play your own custom scenarios. Townopolis will bring out the tycoon in you!